Stansfeld Park in Headington Quarry is set within 18 beautiful acres of woodland with ponds, marshland, and meadows. The undulating landscape is a result of quarrying for limestone used to build many of Oxford's colleges, churches, and civic buildings. When quarrying ended, a variety of habitats formed, including limestone grassland, ash and hazel woodland, dense hawthorn scrub, and ponds and wetland. OCV tasks here include hedgelaying and scrub clearance to extend the species-rich limestone grassland and create valuable hedgerow habitat. Hedgelaying at the site also reduces shading of the meadow plants and encourages species diversity. OCV has also assisted with path maintenance and step building to aid access to the site without damaging the habitats. Stansfeld Park, and the surrounding area of Headington Quarry, is sited on Upper Corallian of Coral Rag and Coralline Oolite, with Kimmeridge clay on the edges. The orientation of properties in the village of Quarry to the North, including cottages dating from the 18th and 19th centuries, depends on the cart tracks, pits, and hollows left behind by the quarrying. Within the site, the undulations provide areas of ponds and marshland in the hollows, alongside woodland and meadows on higher ground. The site at Stansfeld is close to Shotover Hill, a heath and woodland area listed as a Site of Special Scientific Interest (SSSI). In order to retain the valuable limestone grassland and encourage diversity of species it is important to prevent scrub from encroaching on the meadow, and ensure that sufficient light reaches the meadow. 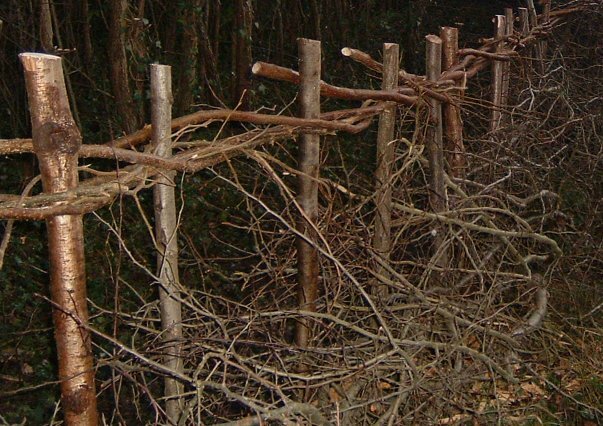 Scrub clearance, coppicing, and hedgelaying are therefore essential tasks. Quarrying in the area around Stansfeld centre is thought to have started in the Roman times, while the first recorded use of Headington stone is for the building of New College's bell tower in 1396. A Roman road ran along the East of the site, parallel in parts with the Eastern Bypass Road. In 1972, Headington Quarry to the North of the site, was designated as a conservation area. John Stansfeld, a doctor who later became a clergyman, set up the Oxford Medical Mission in the poor area of Bermonsey, London in 1897, providing free medicine and treatment in addition to setting up Bible classes and boy's clubs for the community. In 1912, he moved to St Ebbe's Oxford to become the parish Vicar in the belief that the clean air would help the health of his daughter. He organised clubs, helped the unemployed and, in 1919, purchased the land that Stansfeld Outdoor Education Centre is built on as a place for children, and later families, to escape the slums of St Ebbe's for a short holiday in the countryside. Jon Stansfeld gave the site to Birmingham in 1933 as a place to provide educational and recreational visits for the children of Birmingham. The Oxford Trust has taken over the development and management of the site as a combined innovation and science education centre, and as a new space for the local community to enjoy. If coming by bus, get Bus No. 15 to Wood Farm and get off at the Masons Road stop near Wood Farm Primary school. Walk along Masons Road until you reach a T-junction with Titup Hall Drive and turn right. At the T junction with Old Road turn right, and then take the second left into Quarry Road. The Park is down a track road to your right, signposted from the road. Follow the track road to your right and up the hill. If arriving by car, at Headington roundabout follow signs to Oxford City Centre. At the main traffic lights turn left onto Windmill Road (B4495), and at the next traffic lights turn left onto Old Road. Take the second left into Quarry Road. The Park is down a track road to your right, signposted from the road. Follow the track road to your right and up the hill.